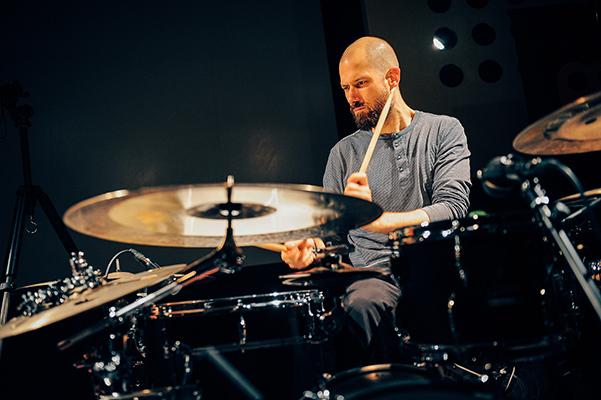 Benny Greb was born in 1980 and began playing drums at the age of six. Initially self taught, he began his full time studies in 1997 and quickly made a name for himself in the international drumming scene. His drumming is slick, full of musicality and finesse. It has style and defines today’s modern drumming. 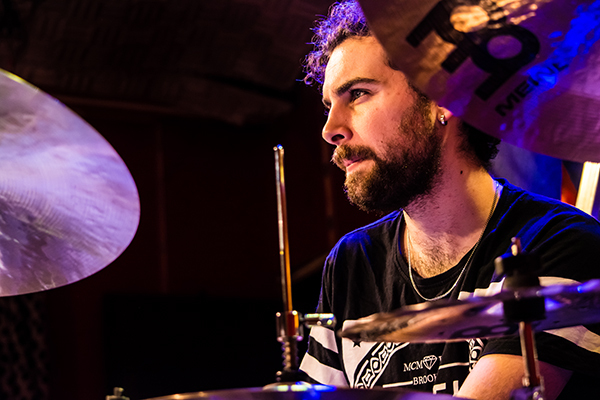 Over the last few years Benny has rightly achieved world class status and recognition in the drum community by touring globally, inspiring drummers with his clinics and drumcamps. Benny writes his own music and releases it under his own label “Grebfruit“ or with his band Moving Parts. His award winning educational DVD’s are among the world’s best selling releases in this field. Benny is a truly exceptional musician and a passionate, entertaining educator. A Meinl Cymbals artist since 2004, we are very happy to have him with us at the festival again. 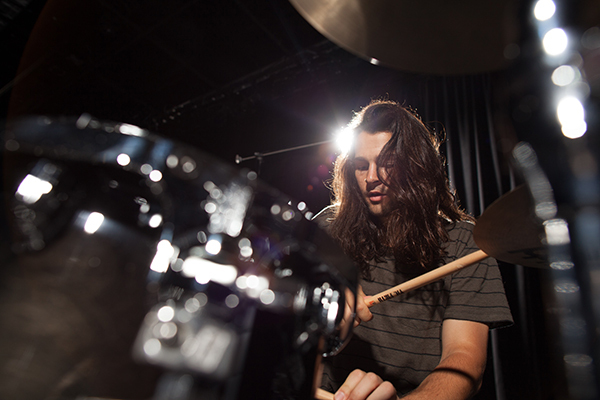 Alex Rudinger was born in 1991 in Frederick, Maryland and received his first drumset at the age of 12. He began auditioning for bands via Youtube until he started touring at the age of 18. Since then, he has worked for a variety of bands both live and in the studio, such as The Faceless, The HAARP Machine, Threat Signal, Conquering Dystopia, Monuments, Jeff Loomis, and many more. Now, Alex is a full time member of the band Good Tiger. In recent years, through his work with bands and the drumming videos he releases on his extremely popular Youtube channel, Alex has become one of the most widely praised and influential drummers in the metal scene. 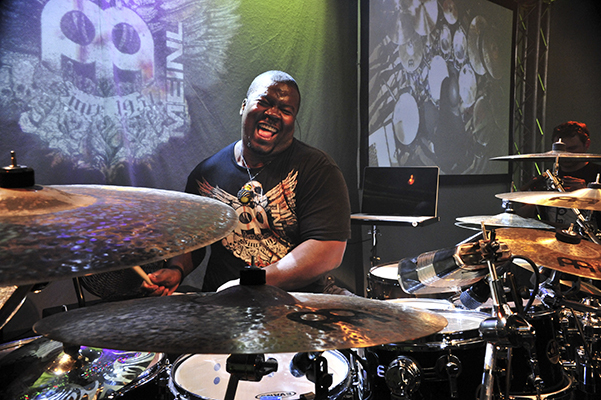 Being a Meinl Cymbals artist since 2011, we’re honored to have him at the Meinl Drum Festival for the first time. 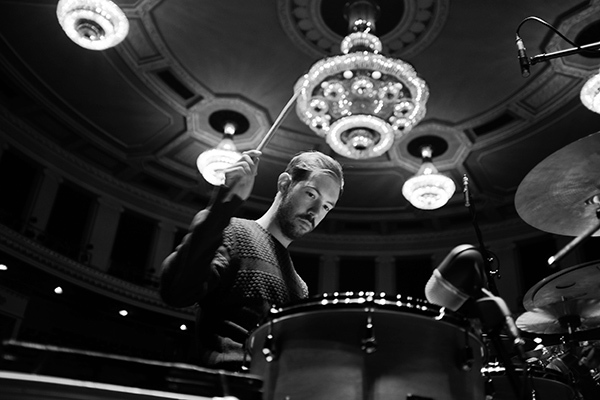 Arthur is a 26 year old Swiss born, Berlin based, award winning multi instrumenalist, drummer, composer, and electronic artist. He holds a bachelor‘s degree from the New School for Jazz in New York City and has travelled all around the world performing at prestigious festivals such as The Montreux Jazz Festival (CH), La Cite de La Musique (Paris, FR), North Sea Jazz Festival (NL), Montreal Jazz Festival (CA), and many more. 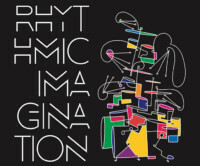 Arthur performs with pianist Tigran Hamasyan, Erik Truffaz, and others. As a composer, he has written for orchestras, string quartets, chamber ensembles, big bands and small ensembles. Arthur has been a Meinl cymbals artist since 2008. We’re glad to present his Meinl Drum Festival debut this year. 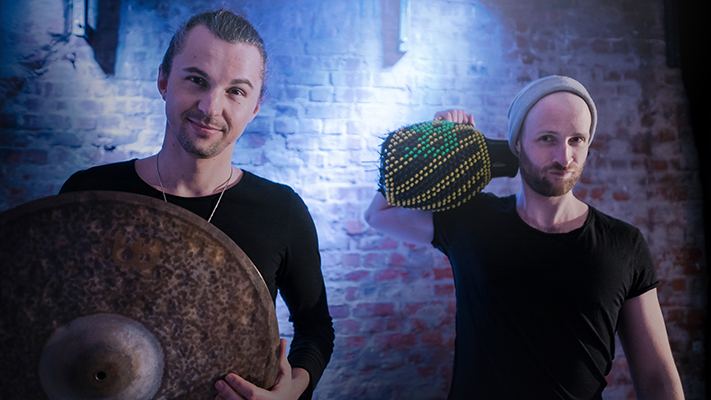 Austrian drummer Simon Gattringer and percussionist Max Groesswant are drescHHeads. Both are busy as session/touring artists and producers working with various musicians in the European music scene. 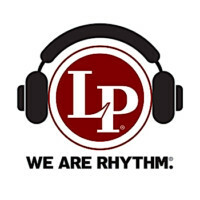 drescHHeads combine drums and percussion beats with electronic music of various styles. 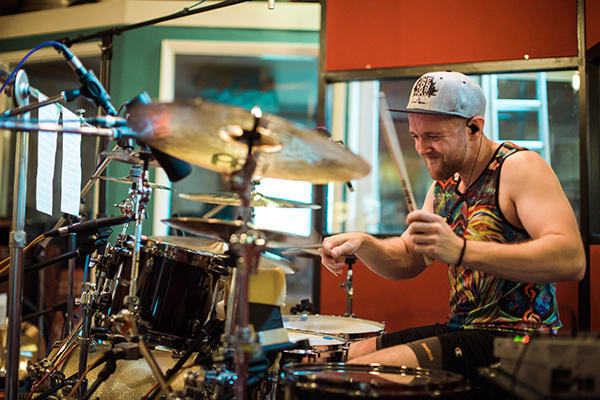 Simon has been a Meinl Cymbals artist since 2009, and Max since 2013. Aric is the drummer of the band Night Verses and has made a name for himself in the drumming community through his unconventional and incredibly creative style. His solo drum performances are musicially exciting, utilizing unique sound sources and are visually captivating through the occassional incorporation of acrobatic elements. Aric has won multiple awards from the popular action camera company GoPro for various drum/video projects he has created, and he has recently placed in both Modern Drummer Magazine and Rhythm Magazine’s Readers‘ Polls for Top 10 “Prog“ drummers. Aric has been a Meinl Cymbals artist since 2013 and we are very excited to welcome him to his first Meinl Drum Festival. Miguel is a 23 year old drummer from Spain who is well known for his work with Tom Kennedy, Raynald Colom, or Abraham Mateo. He also devotes a lot of time to his own project, the Miguel Lamas Quartet, as well as to hosting drum clinics all over Spain. Miguel plays on a level which you would normally not expect from such a young artist. It is musically and technically advanced like that of a well seasoned player with decades of experience under his belt. The future holds a lot for Miguel. Miguel has been a Meinl Cymbals artist since 2016 and we’re happy to welcome him on the Meinl Drum Festival this year. 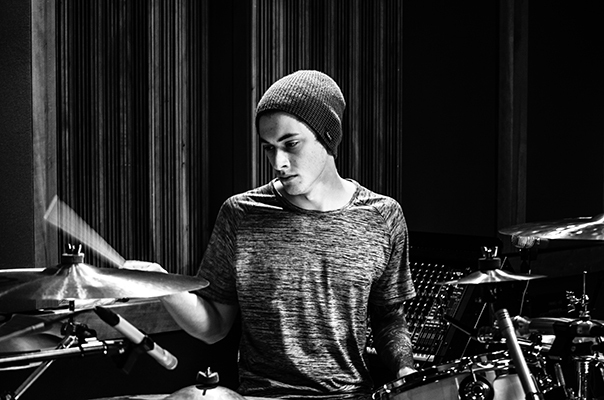 The extremely popular American drummer Luke Holland is known on YouTube as „LukeHollandDrums,“ where he currently hosts 360.000 subscribers to his channel. Up until recently, Luke has been the drummer for the metalcore band The Word Alive, a group that Luke spent the last five years recording and touring the world over with. Since his departure from The Word Alive, Luke has been touring with guitar hero Jason Richardson in support of Jason’s album „I,“ which Luke also recorded all of the drum parts for. The album peaked at an impressive #13 in the US iTunes albums charts. Luke’s meteoric rise in the drumming world is nothing short of amazing. We’re glad to welcome Luke back at the festival this year. Luke has been a Meinl cymbals artist since 2011. Christopher R. Coleman has been playing drums since the ripe old age of 2, sitting on his uncle’s knee in church. In 1999, he graduated with honors from the Drummer’s Collective in New York, was offered a scholarship to Berklee School of Music, and was accepted into the Manhattan School of Music. Throughout his career, Chris has worked with artists such as Chaka Khan, NKOTB, Christina Aguilera, Randy Brecker, Prince, and many more. He also has performed at most of the world’s leading drum festivals and always is an appreciated feature artist for any drum magazine worldwide. Chris has become one of the most well-respected drummers in the drumming community, as his musical instincts and drumming abilities are second-to-none, with very few that can match what he does. Chris has been a Meinl Cymbals artist since 2007. We’re happy to welcome him back at the festival for the 3rd time. Anika is a German drummer, songwriter, and producer and has just released her debut album titled „Pikalar“. During the last three years Anika’s career in the drumscene has skyrocketed playing drum performances all over the world, and being featured in every drum publication. She is without a doubt one of the most sought-after drummers in the worldwide drumming scene right now. „Nevell“ is Anika’s band with which she will perform her own music live on stage as the headliner of this year’s Meinl Drum Festival. 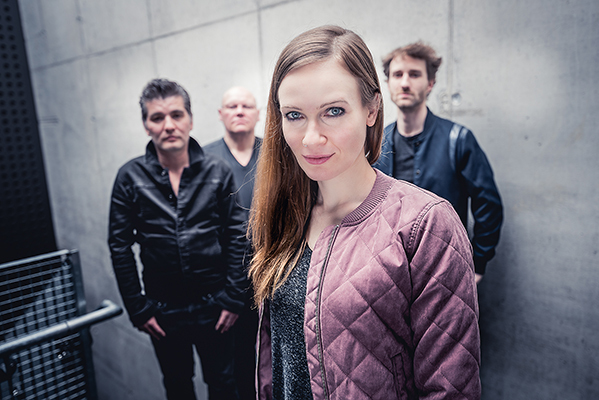 The band includes Frank Itt (bass), Joachim Schneiss (guitars), Daniel Hofstaetter (keys), and Anika (drums). Anika has been a Meinl Cymbals artst since 2014.